Yoga and mindfulness offer a holistic avenue to balance the nervous system. Many special needs students are constantly trying to manage themselves and their environment from a state of sympathetic nervous system arousal. This means, that they are frequently in heightened states of stress and anxiety. Statistically, 40% of children with autism suffer from an associated anxiety disorder. When “typical” nervous systems are stressed, they don’t function very well. Imagine feeling that heightened state of arousal ALL of the time. Our programs offer general and special needs teacher’s effective, evidence-based tools to calm and balance the nervous system, while promoting social and emotional learning and well-being. In most schools, 60 % of classified students spend 80% of their day in general education classrooms. Imagine having tools that help these students integrate, participate and be part of that general community, socially and emotionally. There is often a great divide in the “inclusive” general education classroom. Teachers need more tools and strategies to support ALL students academically, behaviorally as well as socially and emotionally. Many of the techniques that have been implemented over the years are archaic. They no longer work for improving behavior or increasing attention because they focus on a system of reward and punishment. Our program builds behavioral regulation and focused attention from the inside out. We teach tools that develop self-awareness and “good” feeling states. From this vantage point, behavior is naturally calmer as children feel safer within themselves. This allows them to explore and approach challenges with greater self-confidence and success. A. Our EDUCATE 2B: Tools for Engaged Learning and Living has been found to be an effective program to include in the classrooms of students with autism, ADHD, sensory processing dysfunction and behavioral challenges. 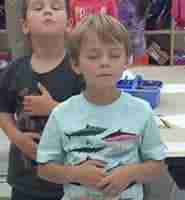 Recent research with students on the autism spectrum, demonstrated improvements in behavior, and social and emotional learning when teachers lead their students in 2 minutes of breath, movement and mindfulness, only 3 times per day. That is a total of 6 minutes per day. This particular study was conducted over an 11-week period. B. HONORING THE SPECIAL NEEDS CHILD: Teaching children how to connect to their breath, body and emotion, cultivates and nurtures their own inner strength, guidance and perfection. 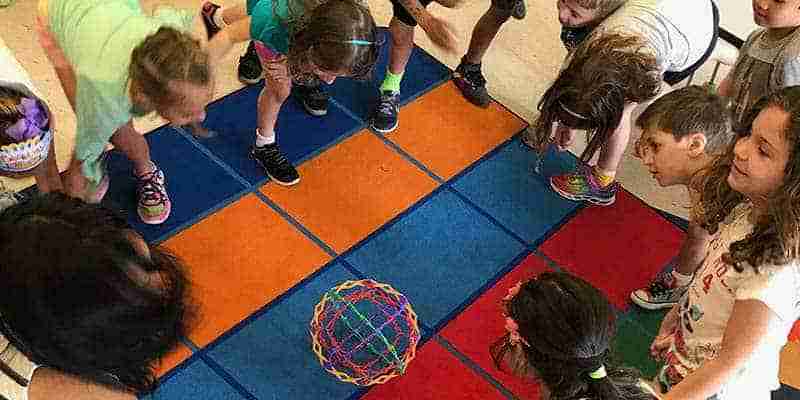 This workshop teaches you how to invite and engage children into this exploration through the introduction of contemplative practices such as yoga, Qi gong and mindfulness. You will learn how to create an environment that encourages children of all abilities to work from their personal strengths rather than focusing on their limitations. Our staff joins your educators in their individual classrooms or therapy sessions for modeling, feedback and assistance in further implementing the practices with their students.